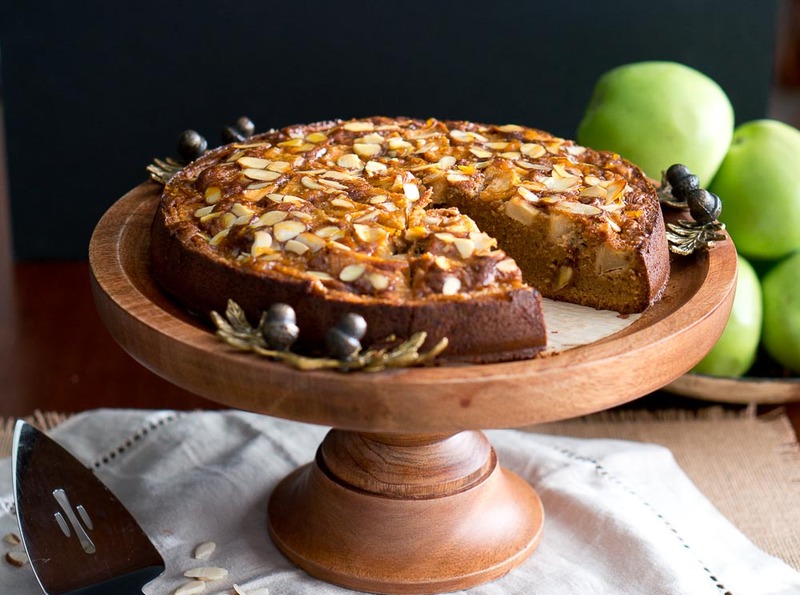 This simple apple almond cake is made with just a few simple ingredients. 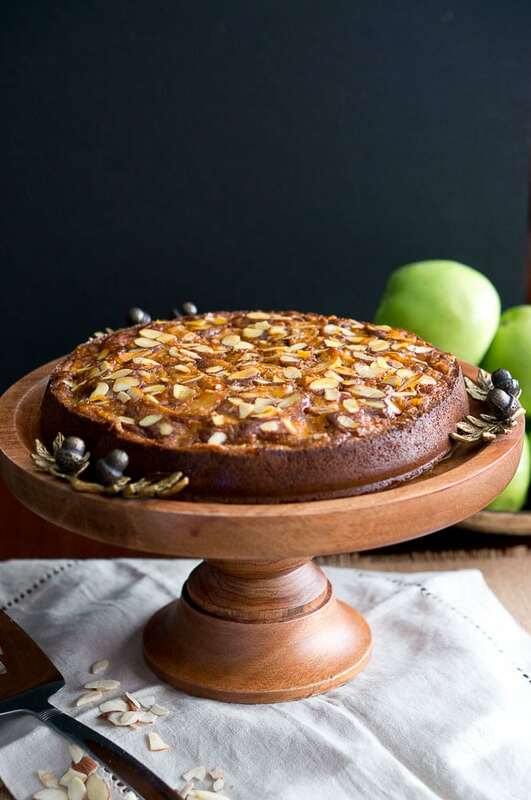 But don’t let its simplicity fool you – it’s delicious and has a very delicate apple and almond flavor. It is paleo and gluten-free too! I love that it’s moist and very light, not too sweet. It’s perfect for an afternoon coffee or tea. 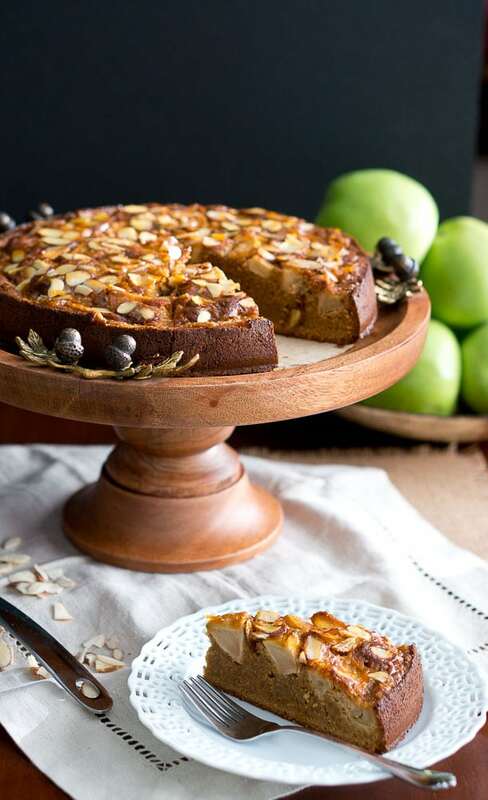 The combination of apples and almonds is also fantastic! I usually love to mix apples, walnuts & cinnamon when I bake fall cupcakes or cakes. But this time I wanted to try something different, and it turned out amazing! This cake will also go wonderfully with a scoop of vanilla ice cream. This is an easy gluten-free coffee cake recipe you can keep in the back of your pocket if you want to experiment with other fruits and nuts. I am sure you will love it! If you are looking for more apple desserts, try these Healthy Apple Nut Muffins. They are moist and delicious! It takes only a few minutes to mix all the ingredients, and it’s a very easy and simple recipe. If you make this recipe, let me know what you think in the comments below. Hope you enjoy it! Stir together 3 cups almond flour, 1 tsp baking powder and ¼ tsp salt in a medium bowl. In a large bowl, use a handheld electric mixer to beat together 1 1/2 cup coconut sugar and 1/2 cup melted coconut oil until well combined. Mix in 6 eggs (1 at a time), beating well after each one then beat in 1/2 tsp vanilla extract and 1/2 tsp almond extract. Add almond flour mixture and continue to mix on low speed until blended. Fold in chopped apples and pour cake batter into a greased 9″ (8″ will work as well) springform. Top with slivered almonds. Bake 45 – 50 min at 350˚F. Cool in pan 10 minutes then run a dull knife around edges of cake to loosen cake. Transfer to a serving platter, serve warm or at room temperature. Warm apricot preserves in a small pan over medium heat until it breaks down. 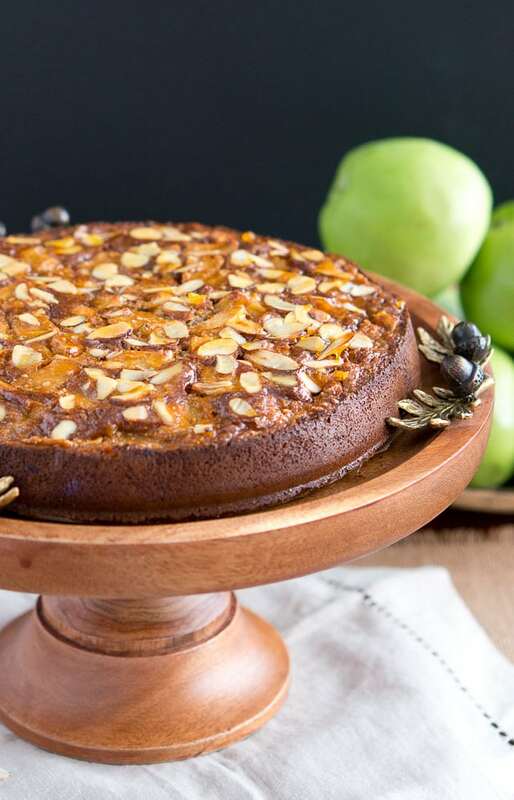 Using a cooking brush, brush the top of the cake with the warm apricot preserve. 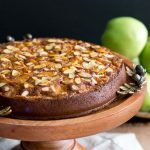 This apple almond cake is made with just a few simple ingredients and has a very delicate apple and almond flavor. It is paleo and gluten-free too! Add almond flour mixture and continue to mix on low speed until blended. Fold in chopped apples and pour cake batter into a greased 9" (8" will work as well) springform. 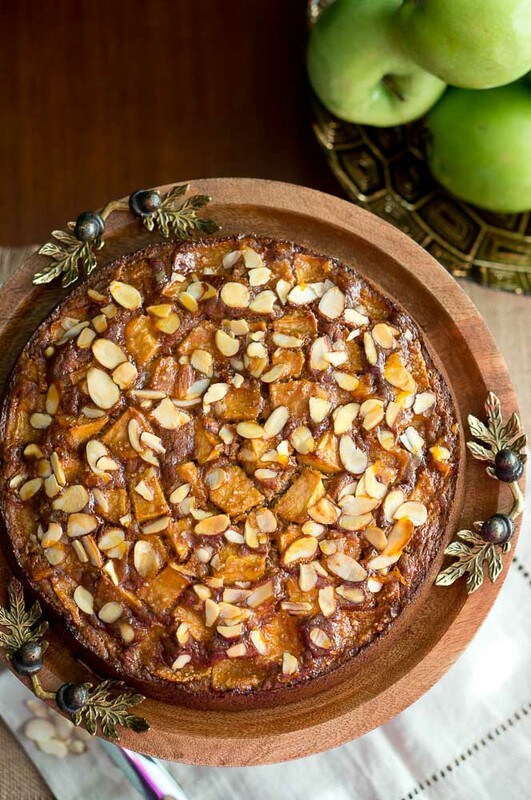 Top with slivered almonds. Bake 45 - 50 min at 350˚F. Cool in pan 10 minutes then run a dull knife around edges of cake to loosen cake. Transfer to a serving platter, serve warm or at room temperature. The ingredients say 1/2 tsp of salt, but you only add 1/4 tsp salt, also, what size pan? I’m in the middle of making it now and only using 1/4 tsp salt and an 8 in springform pan. I will let you know how it came out. I used a 9″ springform but you can use an 8″ as well, it will just look taller. With 1/2 tsp salt it should turn out great as well. Really good recipe. Easy to make and worked well and was happy with all the ingredients. But I wish American sites would add the quantities in metric as well as cups so those of us who live in Europe dont have to look up every single ingredient in metric measurements. 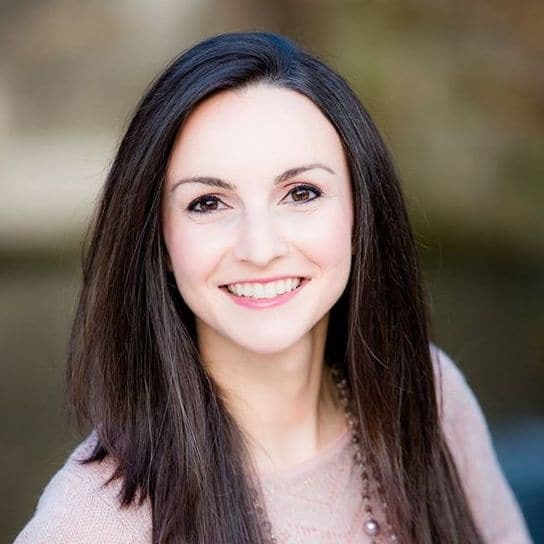 So glad to hear that it worked well, Annie! Thanks for the feedback for the metric measurements. It was a fabulous success at a pre-July 4th barbecue. Endless compliments. Thank you very much. Hi Vimla! Hello from Alabama to Mauritius! 🙂 I wish I could be there, it’s so beautiful! This looks delicious; do you think I can make it using blanched almond flour rather than almond meal? Yes, it will work well with almond flour. Happy baking!